This is putting it mildly. 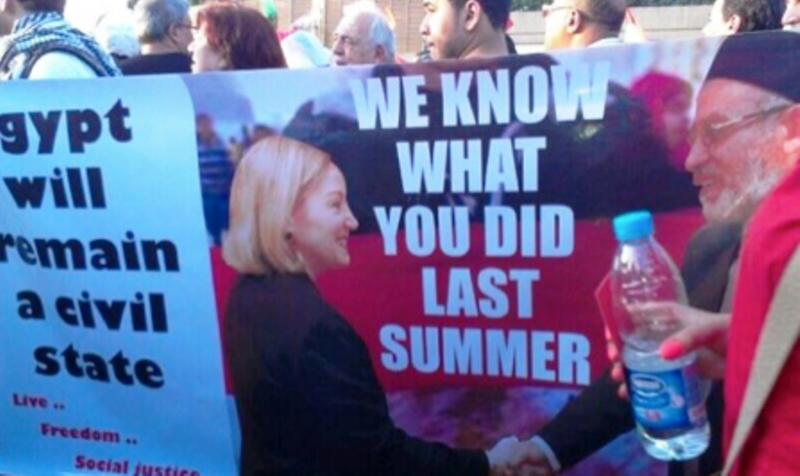 Back during the months leading to the June 30, 2013 revolution, Patterson — the “Brotherhood’s Stooge” as she was called by all, from news analysts to the Egyptian street — was arguably one of the most hated individuals by the millions of Egyptians who took to the streets against Morsi and the Brotherhood. 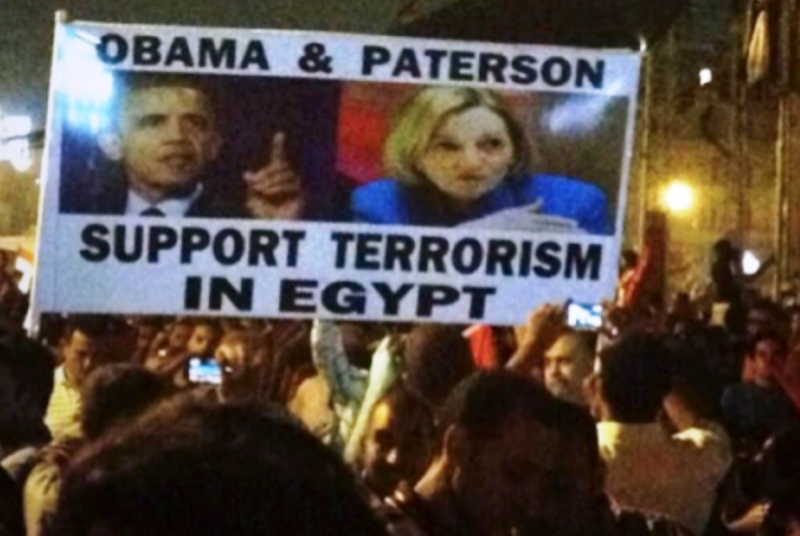 Patterson with Muhammad Badie — supreme leader of the Muslim Brotherhood — currently serving a life sentence in prison for terrorism related charges in Egypt. 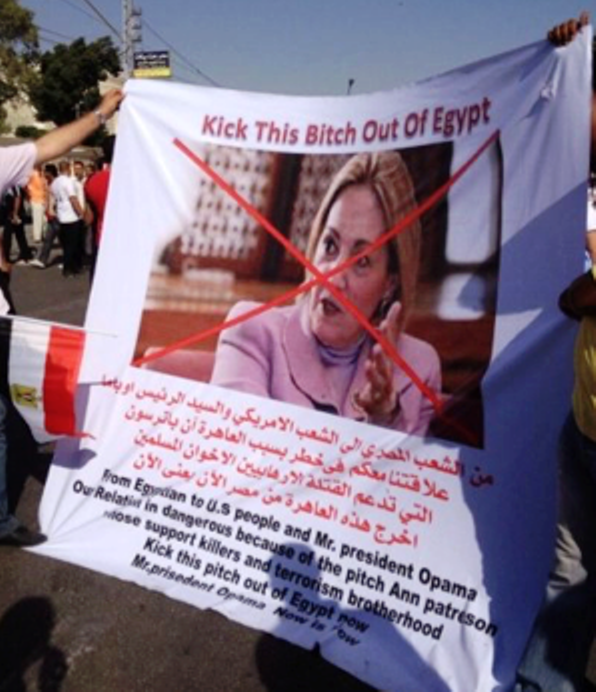 Below are just a few anecdotes that I had translated from Arabic language media before, during, and after the June 30, 2013 revolution that highlight Patterson’s unsavory ties to the Muslim Brotherhood. 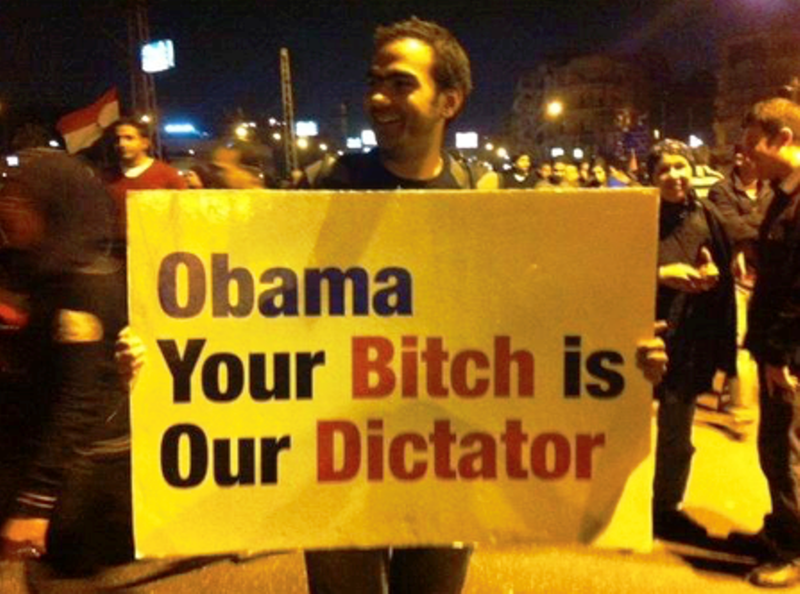 Stop meddling in our affairs … the Egyptian people are capable of looking after their own welfare. 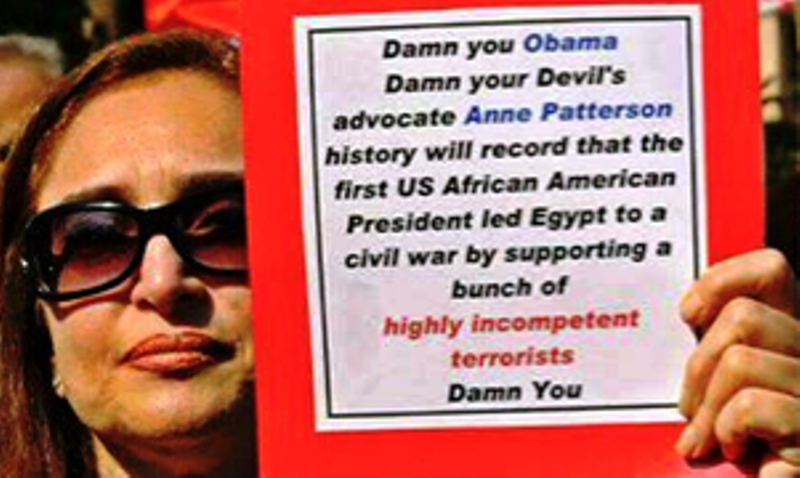 Anne Patterson’s presence in Egypt has become a great burden for America, and Patterson should be admitted into a mental hospital for her deeds are full of bloodshed and the Obama administration is in a very awkward position in front of the whole world, the [U.S.] Congress and the Pentagon. A whopping 87.93% said yes, 10.54% said no, and 1.53% was indifferent. Youm 7’s audience is almost exclusively moderate, secular-leaning or Christian. 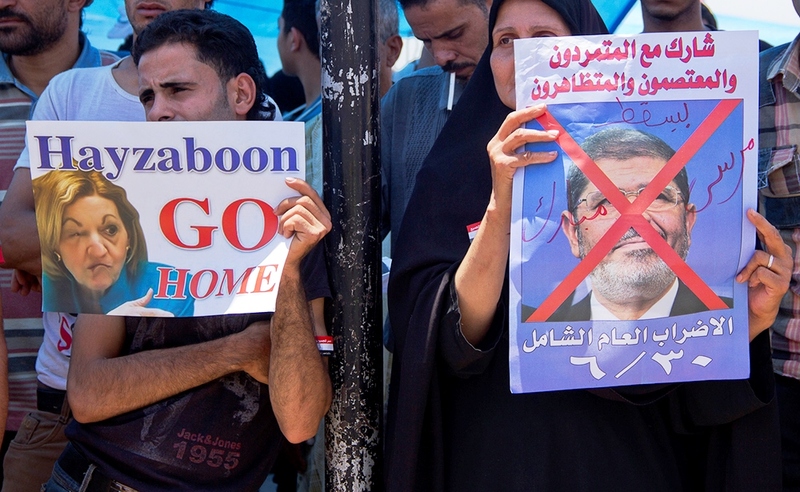 It was the non-Islamists of Egypt that disliked the U.S. ambassador — not the Muslim Brotherhood, which benefited from her.